The waves rock our boat, turning our reef-hopping trip to an amusement-park feel joyride of sorts. Water splashes on the deck as we do a jump and a fine spray of sea water reaches my lips, blessing my tongue with its salty tang. An island, sun-soaked for everyone to see its lush, appears on the horizon. I take aim with my lens but, as I make sure that I have set the proper shutter speed to negate the wildness of waves, I acknowledge that, for the first time, my camera has proved insufficient for this adventure. Don’t get me wrong. My camera performed as admirably as ever, taking shots as sharp as usual, limited only by the hands and eyes wielding it. But, as all cameras do, it could not record the feelings that made the trip impressible in memory. 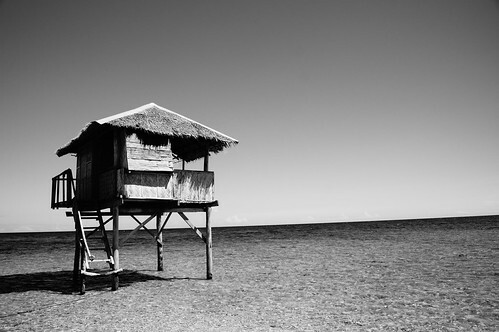 True, it recorded the beauty I saw of Palawan but it cannot capture the smell of adventure as we battled the waves, the flavor of sea-side air, nor that sun soaked smell served as my perfume for almost the whole time we stayed there. I got into Palawan courtesy of the undergraduate research I am doing. Our project, Porites recognition, is part of a larger project in UPD. 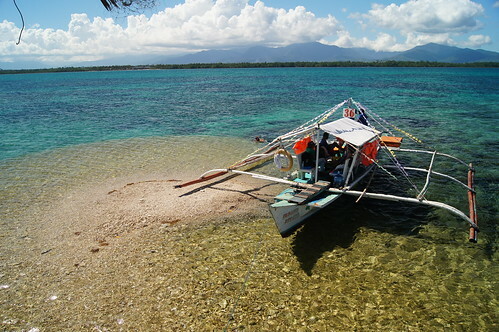 The researchers involved in the project went to Palawan to gather data. My role isn’t really field-related but I got included anyway. Despite it being a research trip, it was adventure all throughout, from the waves to the food to the exploration of the city’s night spirit. The first day we rocked the waves, we ran short of fuel. We waited on a sandbar for further instructions. It’s beautiful, dreamy in quality, if not for the fact that it is a graveyard of corals damaged by dynamites. It is a peaceful spot in the middle of the sea nonetheless, as the resting place of innocent creatures should be. I tried to travel as light as possible being that (1) it is generally a good idea to travel light, (2) pretty men travel light and (3) I did not want too much of my personal stuff to get in the way of the research equipment we brought along. As such I took a leap of faith and didn’t bring any medium to back up my photographs and I was too lazy and too much of a cheapskate to invest in a memory card more or two, to distribute my photographs across. It would’ve been fine until they took a fancy to my camera and I became an official photodocumanitarian of sorts. I got all my pictures back to Manila safe and sound but I learned a valuable lesson nonetheless: the pictures I take belong to the people who made the shot, whether they are distinguishable/included or not in the final output, as much as it belongs to me. I should’ve been more responsible for our shared property. In my lapse of judgment I didn’t act like a photographer, even for a hobbyist, not even like the computer scientist I am trained as. I am grateful for the trip. I am grateful for the adventure; heck, the last one I had was almost two years ago. But I am most grateful for the lesson on not cheapskating on the memories I hitch on my camera.